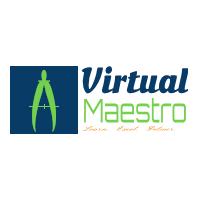 Virtual Maestro: What is VMware VMFS 5? VMware proprietary file system that is virtualization aware and optimized for virtualization. Supports concurrent access to shared storage. Uses a 1 MB regular block size, for storing large virtual disk files. Uses sub-block addressing, storing small files: the sub-block size is 8 KB. If file size is less than 1 KB, file is stored in metadata space. No blocks/sub-blocks are used. If file size is more than 1 KB but less than 8 KB, sub-block is used to store the file. If file size is more than 8 KB, regular block is used. There 2 methods used under on-disk, block level locking as below. ATS (Atomic Test and Set) - Default method if your storage has VAAI plugin support.